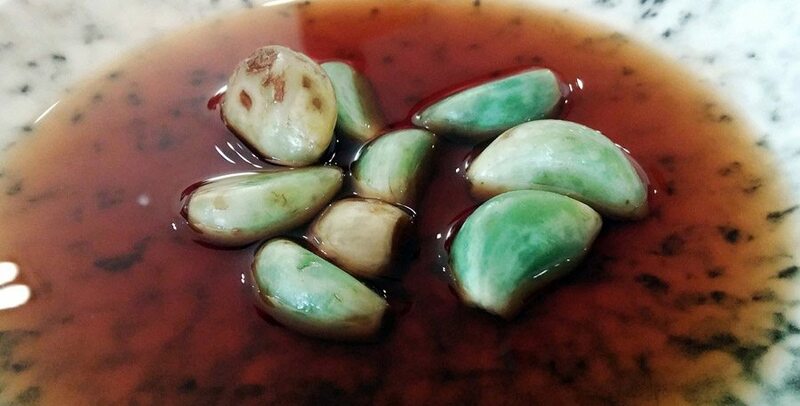 Pickled Laba Garlic is ready to eat when it has turned green. That goes against everything else we know about green food! And it pairs perfectly with greasy meat dishes such as dumplings. My new Chinese friend Kerry took me to a dumpling restaurant for lunch on my first day in Beijing. The tables were so low there was no way you could even slide your knees under. Awkwardly seated, we chose 4 different dumpling varieties. 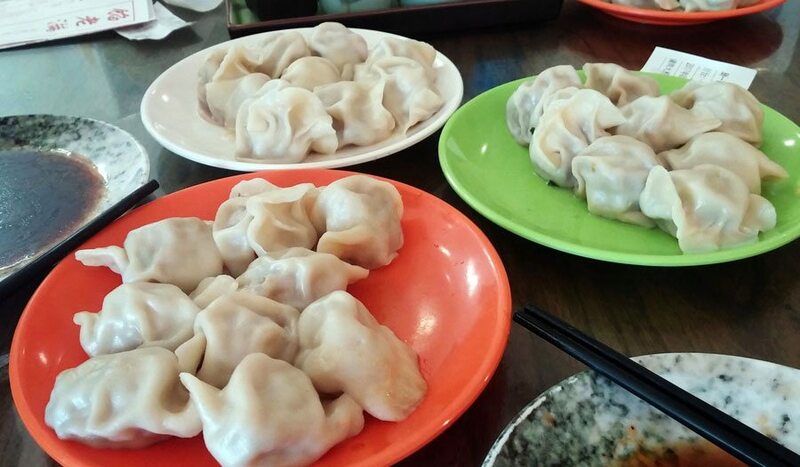 It was worth the back breaking position, we were rewarded with delicious jiaozi (dumplings). I asked Kerry what on earth were those green things floating in the brown liquid in the three huge jars placed inside enclaves in the wall. He said it was pickled Laba Garlic and right away he called over the waitress to bring us a few green jewels on a plate. Oh boy, that is straight up raw garlic and with a spicy kick! Watch my reaction as I pop 2 of these beauties in my mouth in this video. They were perhaps not quite ready as the brown rice vinegar is suppose to help blunt the spiciness of the garlic cloves. Yes you read that right, you need brown rice vinegar which has less tang than the white version. And yes the green is perfectly normal, it is the chemical reaction of garlic cloves left in an acidic environment in low temperatures. After spending a week in Beijing, these garlic cloves remain near the top of my list of the most visually striking foods I ate or saw. And let me tell you my epicurean senses were bombarded and shook up for the entire week. 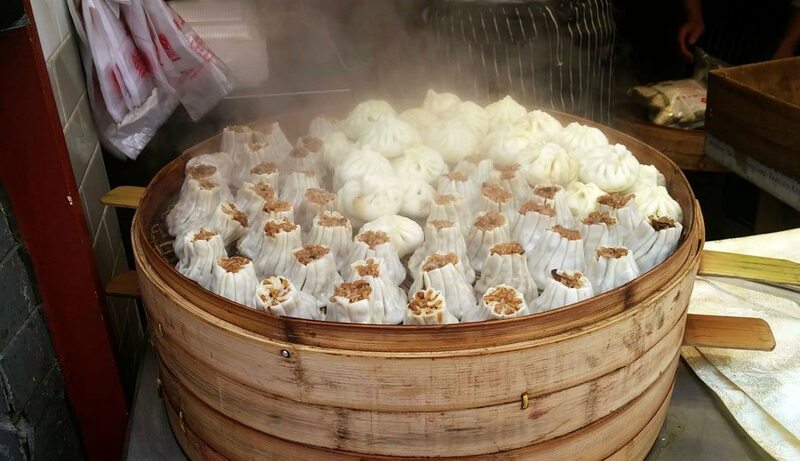 This first China post is all about food, foodporn to be exact. 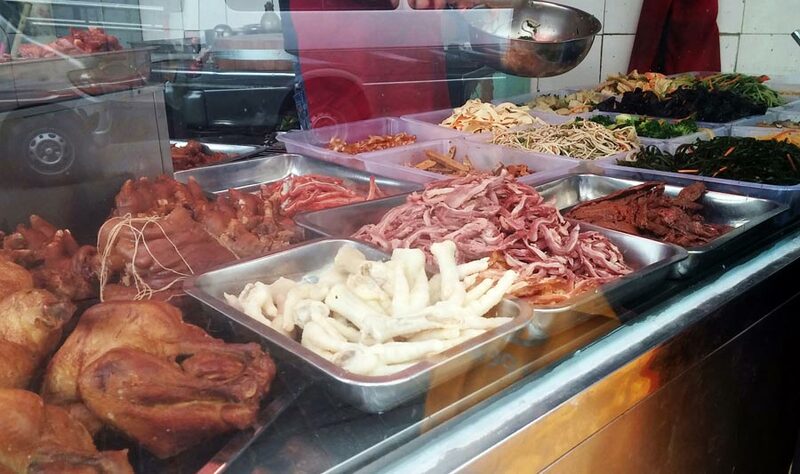 Not a lot of pretty restaurant dishes here, I hit the small streets and snack stands hard. 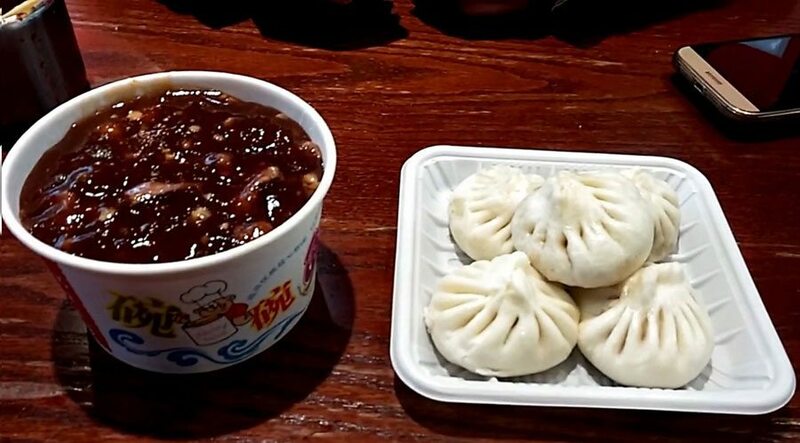 Some of the best Chinese eats are cheap. 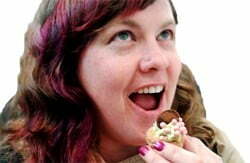 Enjoy, salivate and be freaked out (some will I am sure) by the foodie visual show ahead. 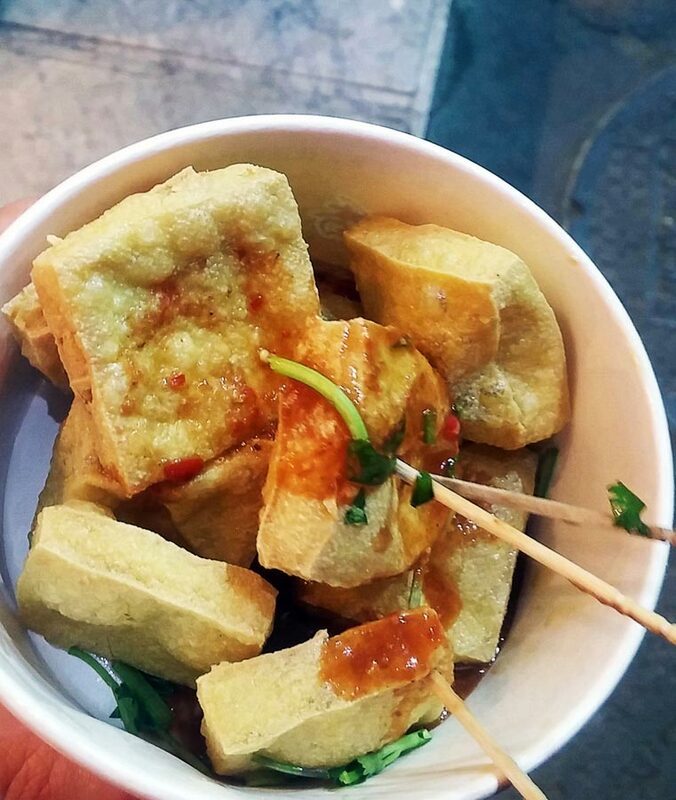 Enjoying a chou doufu snack, or fried fermented tofu called stinky tofu. Not as bad as it sounds. More chou doufu, or stinky tofu, a black version.Is my nose blocked? I am not smelling anything. 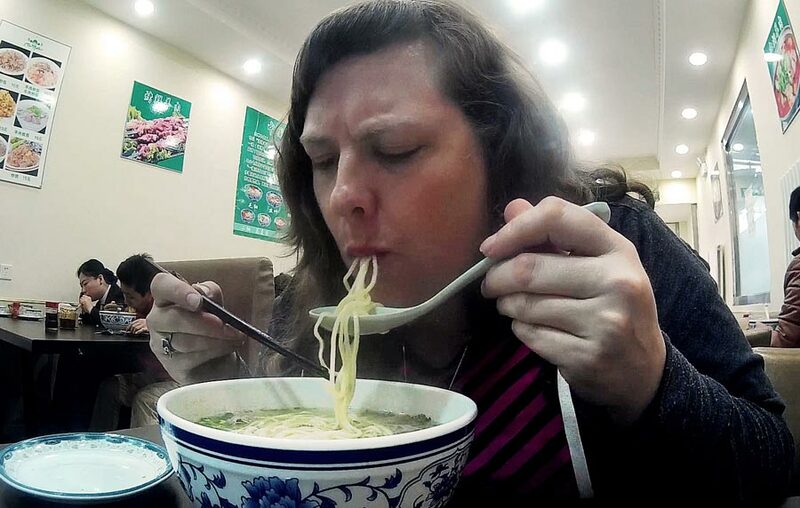 OK this is the roughest one and was my very first meal in China. 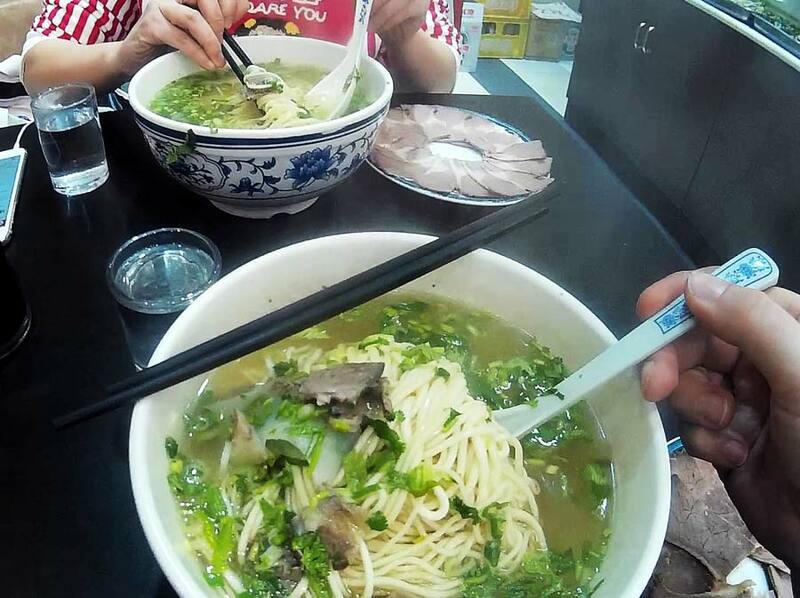 A typical Chinese breakfast: my friend got the Yang Za Tang, a lamb organ soup. The pink stuff is lungs and the middle blob intestine. YES I had a bite of everything. Not a fan! 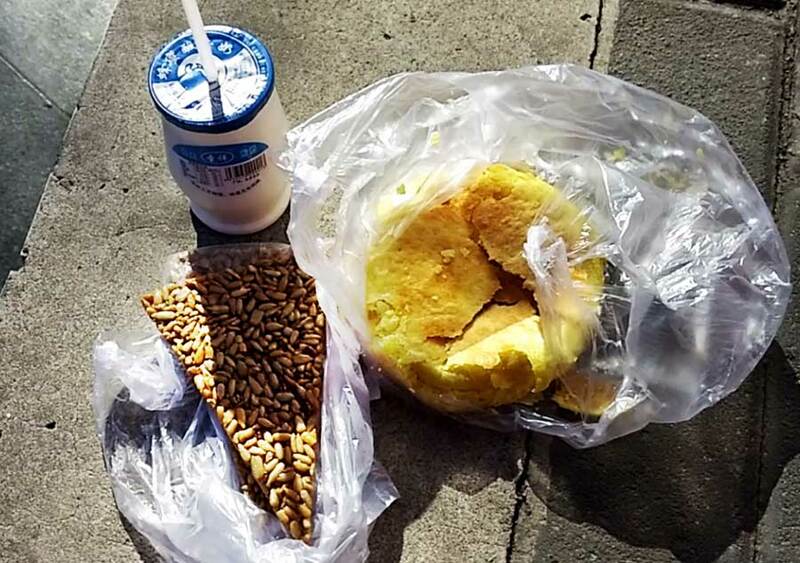 My next breakfasts were on the sweet side: a yogurt drink (only form of dairy I had), a few sunflower seed brittle, and an unknown flaky pastry. Cost about 2$ CAD. They drink their yogurt over there. Not sure why there are used and new ones on the platter???? Mystery curry I bought from the only food vendor at the flea market. Cost 2$CAD, so cheap! I had to have Zha Jiang Mian since I had made this dish for a post. 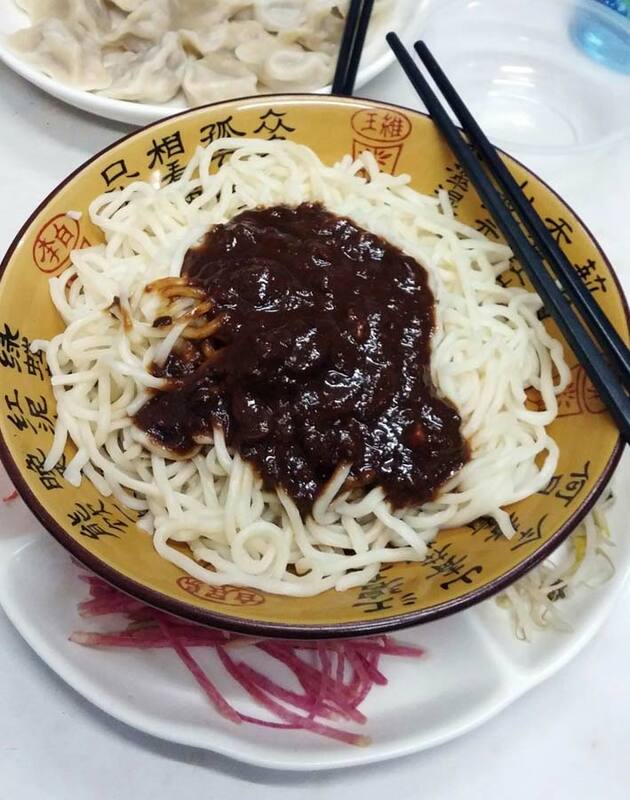 It was a hole in the wall restaurant, I prefered my heartier Zha Jiang Mian version found here! 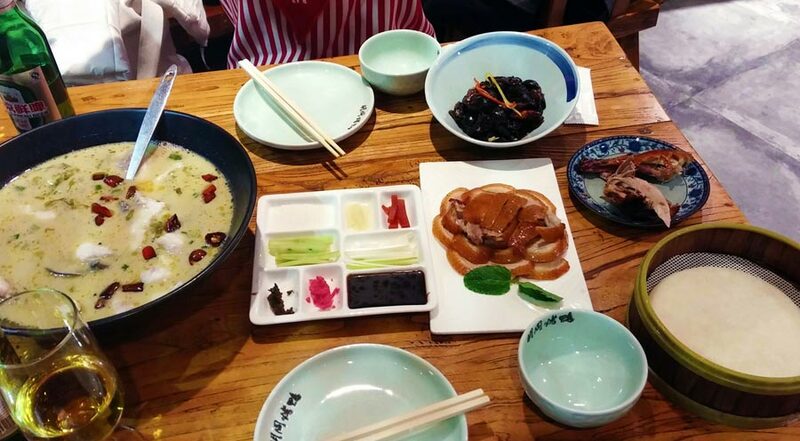 A MUST Pekin Duck dinner with a sour fish soup and black fungus salad. Excellent meal! 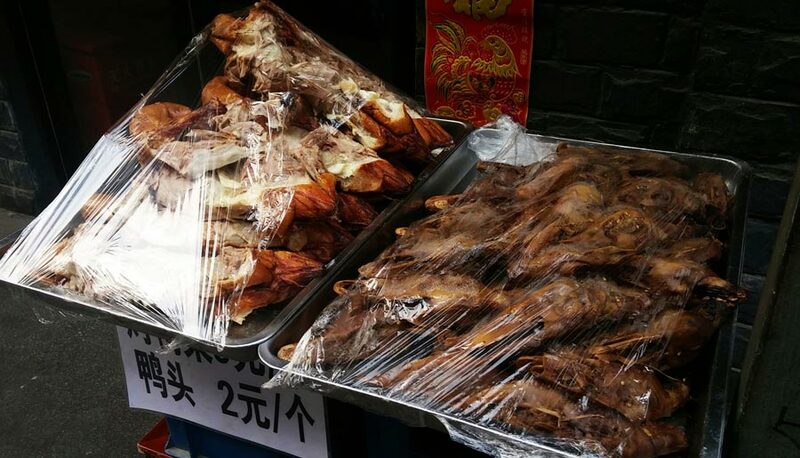 Restaurants leave the duck carcasses outside for people to buy. This non tourist spot had the heads out too! Now this is real Chinese take-out food. Chicken feet in the front! 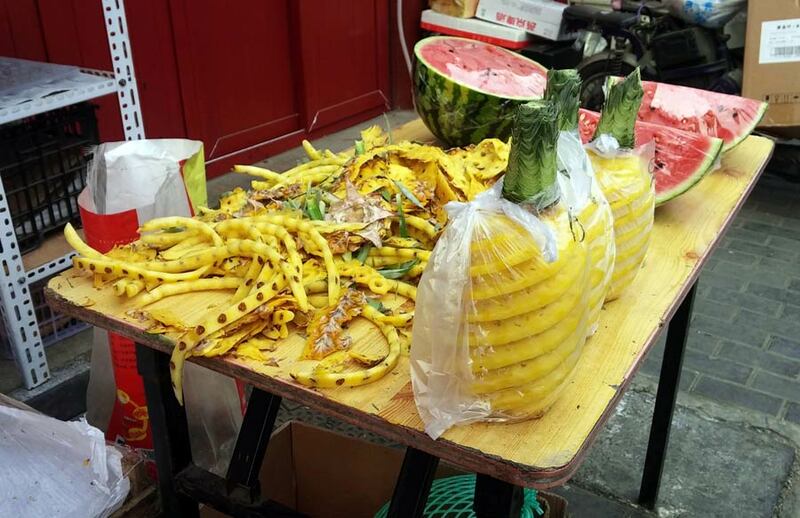 Random pineapples and watermelon for sale on the street in the hutongs. 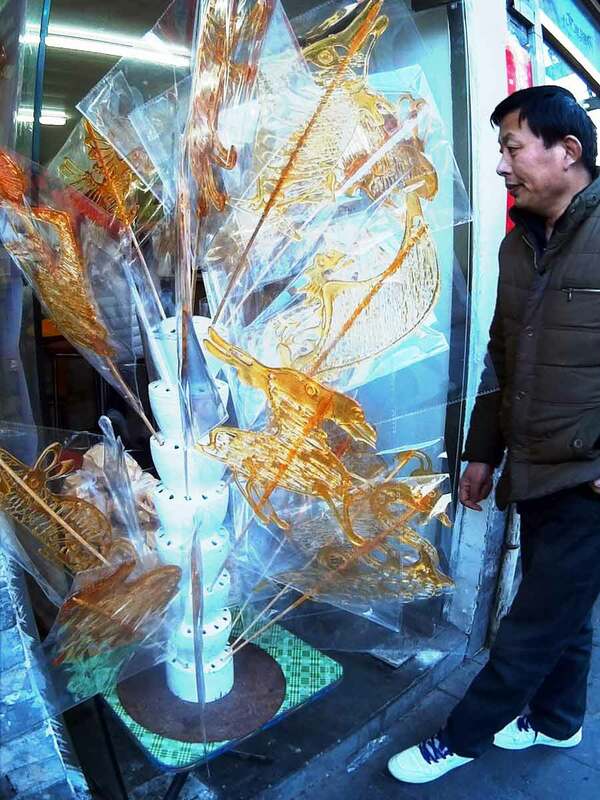 Candied hawthorn fruit sticks – yumminess! A bunch of sweet filled pastries bought at Carrefour, one of the giant supermarkets. 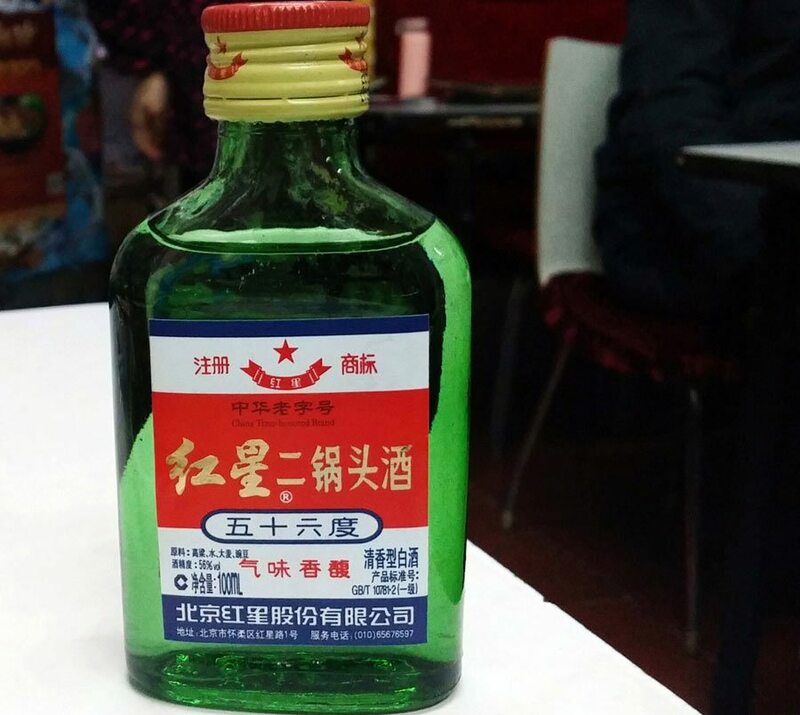 Baijiu, a very strong Chinese grain hard liquor usually around 55% alcohol. This is the common cheap brand. 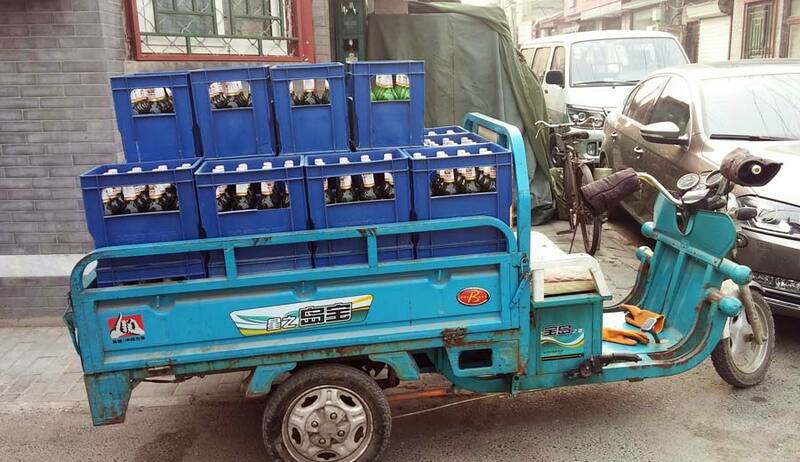 And finally, a beer delivery truck! 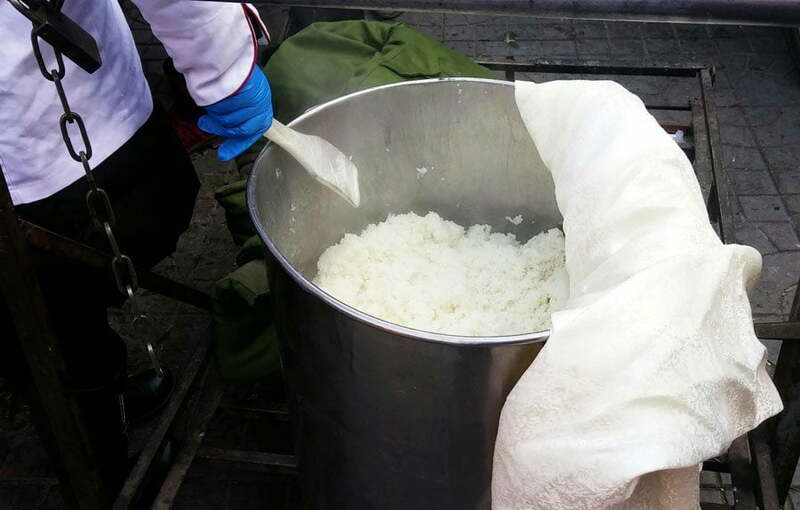 The Laba garlic recipe is normally prepared on the 8th day of the 12th lunar month. 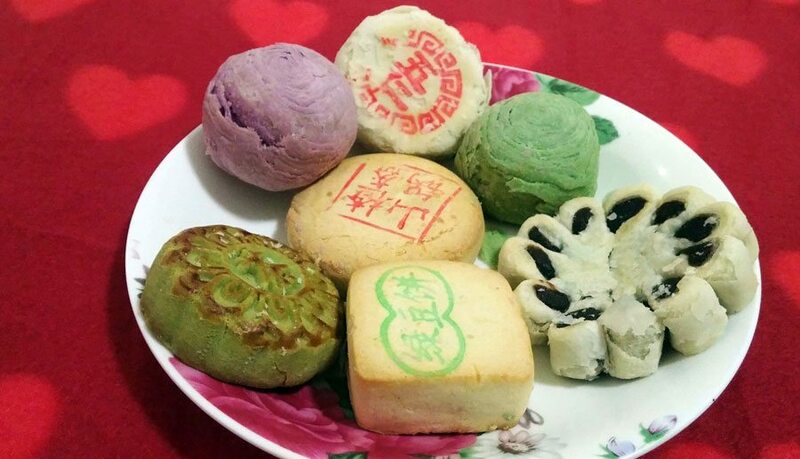 This day is the Laba Festival in China. 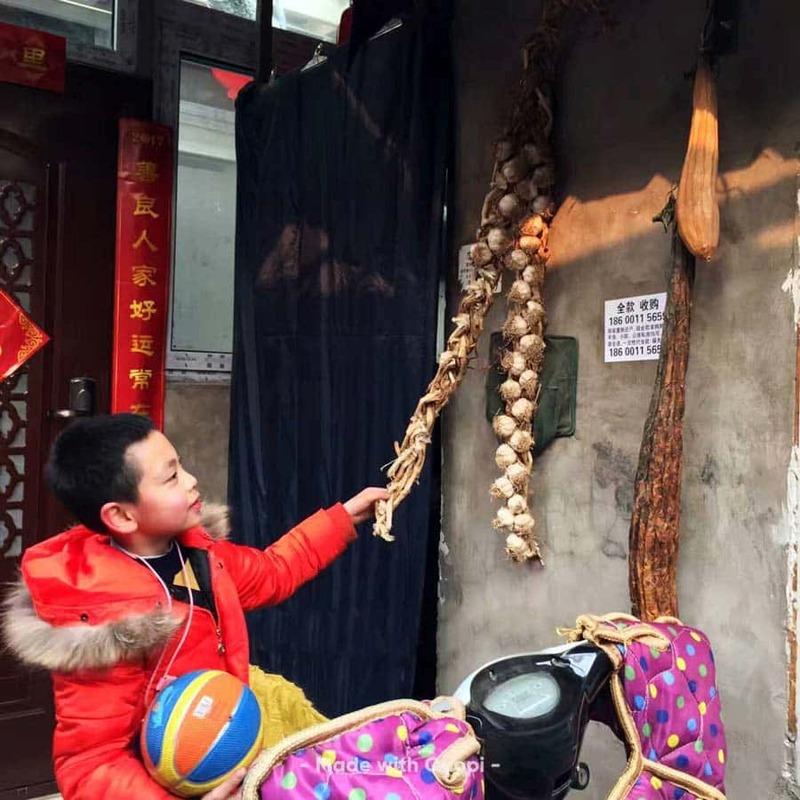 The story goes that this day is considered the coldest day of the year in Northern China and it was a celebration of the new harvest. Later it became a fixed date that just happened to coincide with the enlightenment day of the Buddha. The pickled garlic is ready to eat when it has turned green (10 to 20 days) when placed in the freezer. UPDATE: Must be the freezer, the fridge did not work. How conveniently timed with the Chinese New Year and Spring Festival! 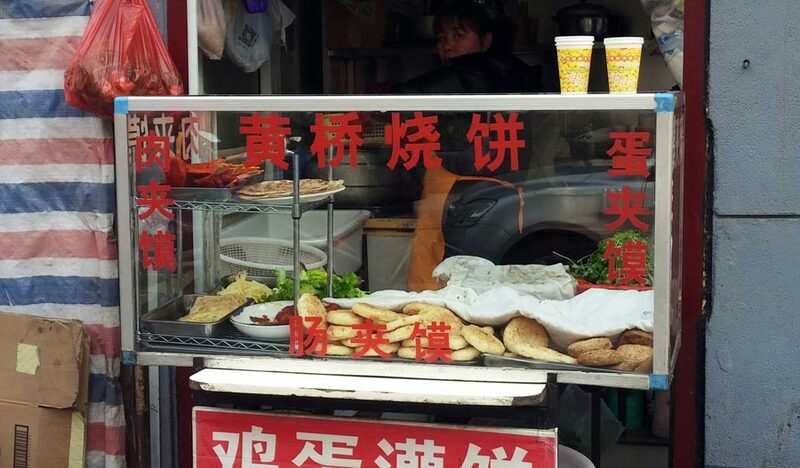 People Northern China enjoy eating the Laba garlic with meats or greasy food, such as dumplings. Pickled Laba Garlic is said to open your appetite, cut the grease in fatty foods, aid digestion, and prevent aging and cancer. And the vinegar is very tasty when added to dishes. On the otrher spectrum, this sweet fermented honey with garlic recipe is a great contrast. 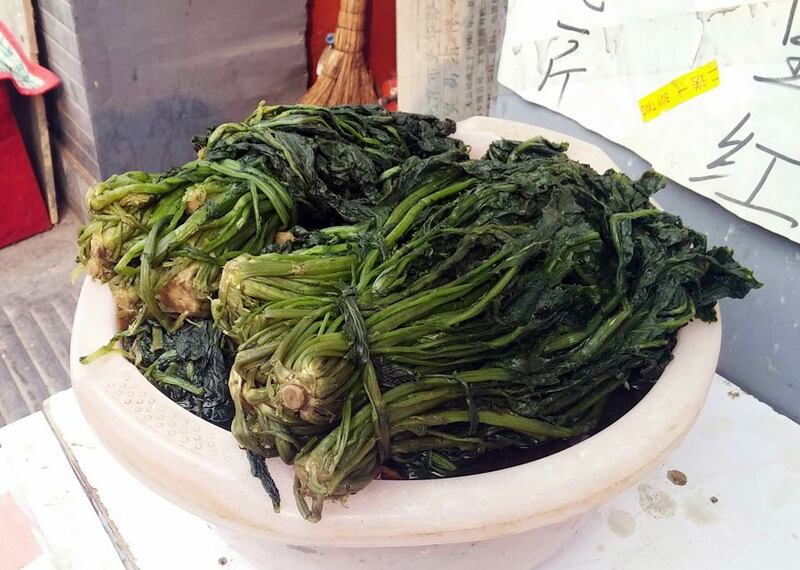 Good thing I was in Beijing just at that time of year and got to eat this pickle with dumplings to boot! Obviously, I am breaking some kind of Chinese law by making this recipe in March. But I was just too curious to make my own green garlic. I will post an updated picture once they are ready for sure! Add sugar and a little bit of brown rice vinegar to a closed bottle. Shake. Peel and clean the entire garlic head into separate cloves. Place the garlic cloves in the bottle, fill with vinegar to cover. Seal lid and place outside in winter or in the freezer for about 20 days. Must be freezing cold! 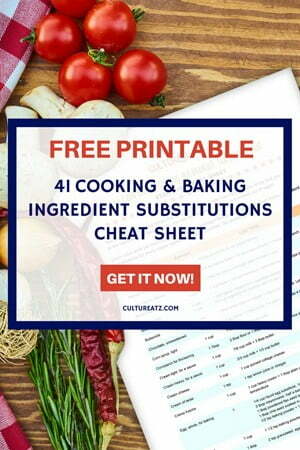 ***multiply recipe as desired per used garlic head. Total FOODPORN! Ah..dumplings and those pastries. Looks like you had the perfect foodie tour. ha ha Tanks Sonali and I barely made a dent in all the food that was offered. What a trip!!!! The food looks incredible and quite different from anything I eat. That pickled garlic sounds fabulous but then I am a garlic lover, whereas the stinky tofu...I think I'll pass. :) Fun post and video! Thanks MJ glad you liked he China food post! I am waiting patiently for my garlic to turn green lol, 13 days to go! Such wonderful photos, it takes me back to my trip to China. So different yet so familiar when you think about the Chinese food back home. Thank you Rosemarie and yes you could not be more right, there is a familiarity in a world completely separate from what we know. That really is an amazing variety of food. Good on you for being adventurous and trying so many different things. I especially loved the size of the noodle soup bowl - enormous! Thanks Elissa and that soup bowl was on the top of my taste list, so glad I got to enjoy it. Thanks Juliana so glad you enjoyed them and that they brought back memories. Here is to trying different foods lol. have a great weekend! 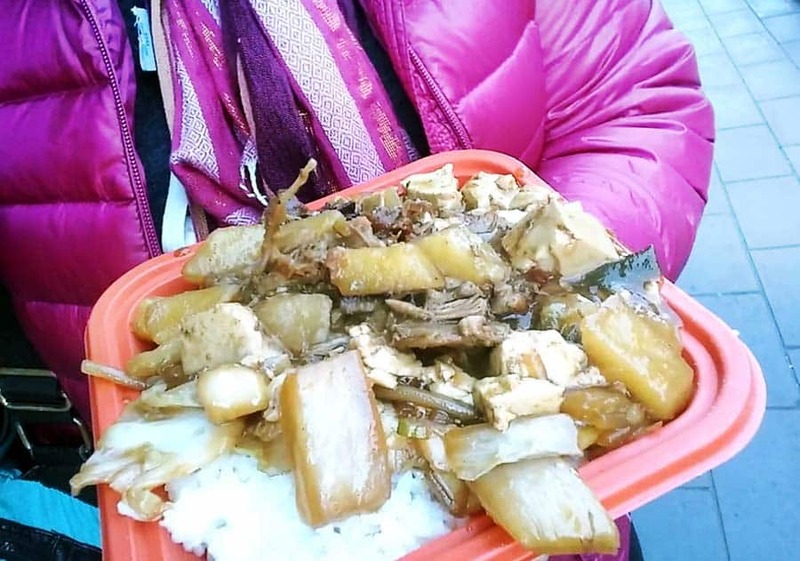 China is one of the places I want to visit some day and I know that what we are calling Chinese here has nothing to do with what they are eating there! Looks like you had a lot of fun! Thank Katerina and I had a blast,even if it caught me a bit off guard lol. I cannot wait to go back. Hope you make it soon there! 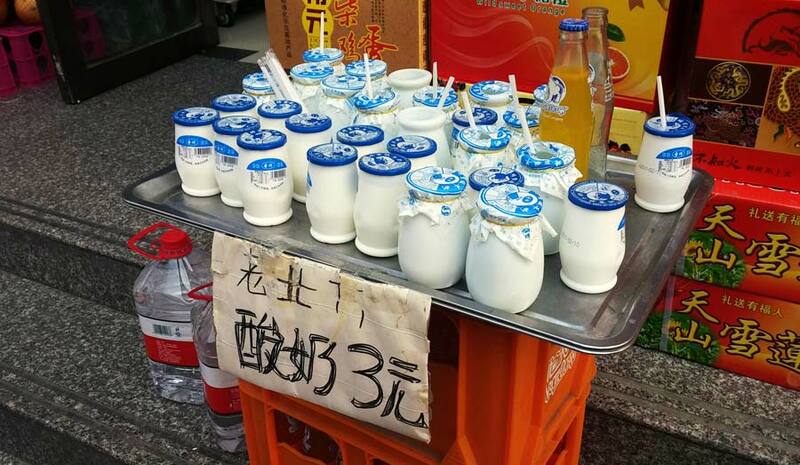 Reminds me so much of my trip to Taiwan... And even just the trip to SE Asia! Man, I miss travel! 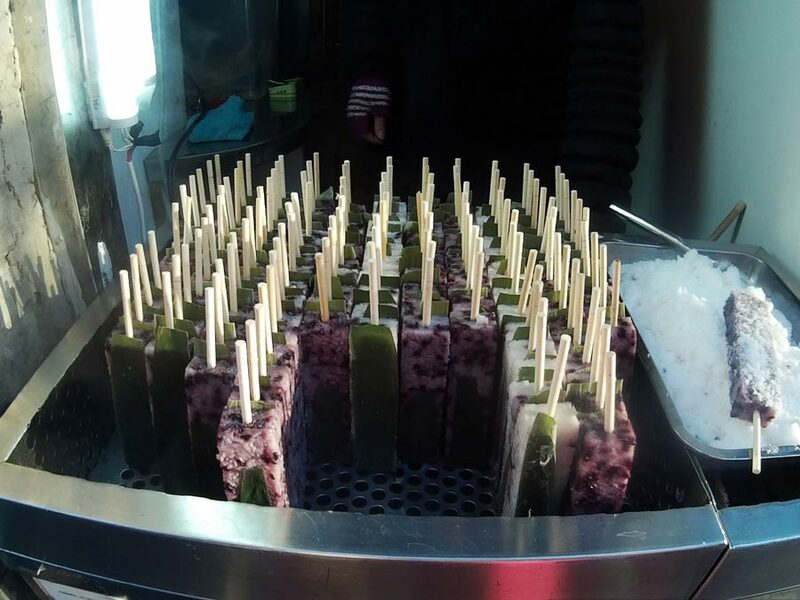 I didn't really eat any of the street foods or anything out of fear because of my allergies, but some did look rather tempting at times... Other times, NOT so much - LOL! I know what you mean, I am just back and I want to go again traveling! Ha ha ha yeah snack stands are a mixed bag of tempting and revolting at times for sure! Wow, loving all the food pictures in this post! Gosh, you really ate well. Haven't heard of pickled Laba Garlic, but its color is certainly seasonally appropriate (St. Patrick's Day). Really fun post -- thanks. Thanks John! I am happy to hear you say I ate well. I snacked a lot and had some meals but I did not splurge a lot. But I ate more local stuff. Ha ha great point on the Garlic for St. Patrick’s Day! Stya tunned next week for more China pics! Thank you Lorraine. Yes it is so different for sure! OK I am not crazy about the stinky tofu that is not so stinky lol. Lovely post Eve, I enjoyed reading every word and looking at every picture. 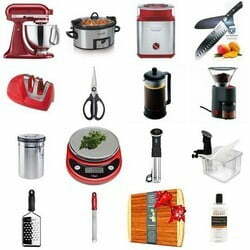 You are a brave girl to try all these goodies. We are used to eat dishes made from cow's tongues in the Middle East, but I've never dared to try them. A couple of weeks ago we were with some friends at a Persian restaurant and one of my friends ordered a beef tongue dish and asked me to try it. 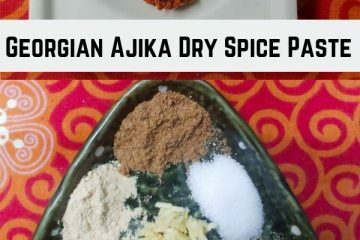 I did not know what it was, she just said try this dish it is very tasty. I tried it and it was so juicy and tender, and when I knew what it was, I was about to throw up hahahahaha. It is really funny how some dishes can be really good if we just did not ask what's in there :). I've been waiting for a China post! 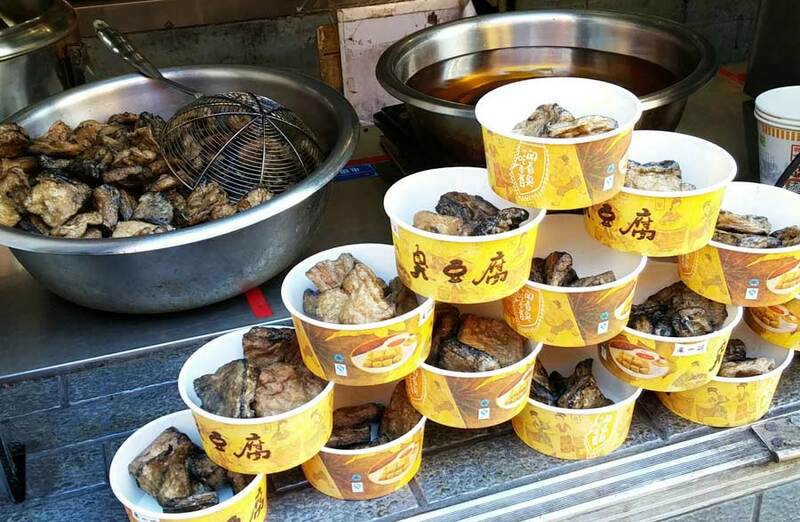 LOVE all the food photos---but I don't know if I could have stomached the lamb lung or fried liver goop!!! Hope the wait was worth it and more China next week! Actually the lung was not that bad, not great but not so bad. The intestine bit...only time I had an active gag reflex on the trip. Why thank you Gingi I take great pride in my foodporn ha ha. 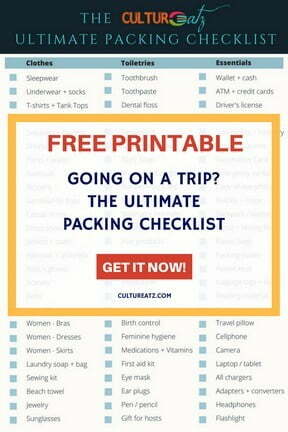 What would you lie to try most out of everything here? I'm sorry, but there's no way I could bring myself to try this. 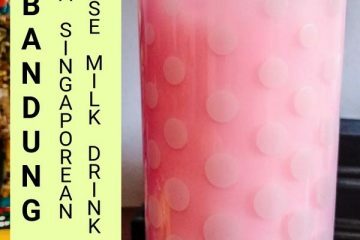 Some of the food in your photographs looks really good. What a taste adventure. I miss some of those streets snacks!! Those dumplings are wonderful! Yes so do I, and I did not get a chance to try them all. Must go back!